Infernum Productions has teamed up with one of the biggest anime communities in the world to bring fans Dragon Cosplay Summit 2013. 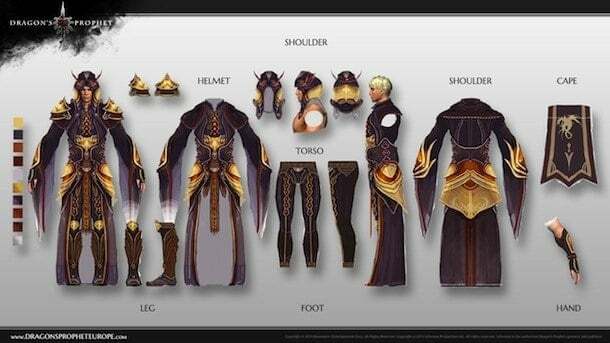 This fantasy-themed fashion show will take place at Gamescom 2013 and gives dragon fans a chance to win fabulous prizes. Don?t feel left out if you can?t make it to the show this year either. Fans can create their own epic costumes and submit them online, all from the comfort of their own home. Starting June 25th and lasting until the end of July, fans can enter pictures of their costumes in hopes of becoming one of ten lucky winners in the cosplay contest. Every winner will receive entrance into Gamescom, along with a unique Dragon?s Prophet t-shirt and in-game title. The grand prize is what most will be competing for though. Gamescom 2013 takes place in Germany, which can be a bit of a trip for some of us here in the states. That?s why players will be hard at work trying to design a winning costume that will grant them a free trip to this wonderful event. 1st prize will not only provide a flight and hotel to go with the Gamescom entry, it also provides the winner with ?1,000 Euros, in cash form. The winner will also be given a brand new Alienware computer system, a handful of exclusive Dragon?s Prophet merchandise, and the chance to design a costume that will be added to the massive amounts of in-game content. Did we mention the designer will also get to share the profit of their design? How can you beat that? Second and Third place prizes are also quite valuable. There will be plenty of avid cosplayers, MMO gamers, and dragon fans trying to win these phenomenal prizes. There?s about a month to get ready so you may want to get to work as soon as possible, because we can guarantee you, there are plenty who already are.